G'day sweet friends! Welcome to this week's Say G'Day Linky Party. I hope you are ready for a delicious muffin recipe! 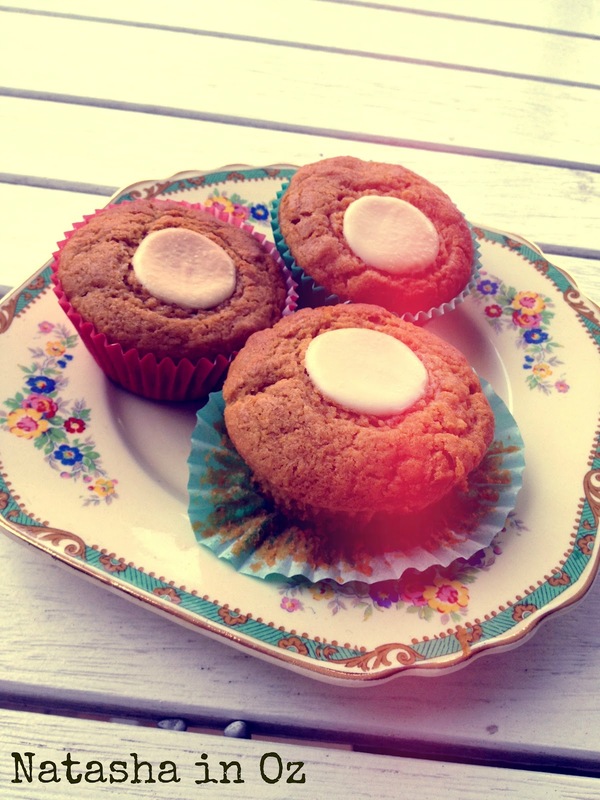 This week I made Pumpkin Spice Muffins and they were divine! More about that in a minute though because first I need to apologize for being MIA for the last few weeks. I've been unbelievably busy with school commitments ( for me and for my kids!) and I knew that I needed to take some time to focus on my family and to step away from the blog or I would get way too distracted! I've been quietly lurking keeping up to date with you all on twitter, facebook, google+ and instagram so I don't feel like I'm completely out of the loop! Along with the mothering, wifeing (is that a word? ), teaching, marking, marking, marking.....you get the picture...I've also been trying to stop cheating when it came to my kid's lunch boxes. I try to make sure they always have a healthy sandwich made with wholemeal bread and I always add a serving or two of fruit but recently it was getting way too easy for me to grab a store bought granola bar for them to snack on. With some of them containing more than 20% sugar and delivering more saturated fat than a packet of chips, I figured I should try to make my own lunch box treats. So to say goodbye to Winter here in Australia I made a batch of Pumpkin Spice Muffins! I'm very proud to also say that I even baked and puréed the pumpkin all by myself! My whole family loved these yummy muffins and I think my American friends will like them too, especially since Fall is right around the corner and these are just oozing with Autumnal flavours! These delicious Pumpkin Spice Muffins are the perfect Fall/Autumn treat. Preheat oven to 400F/200C degrees. Grease a muffin tin with cooking spray/butter or use cake/muffin liners if preferred. Combine flour, spices, baking soda and salt in a medium bowl. Mix together brown sugar, pumpkin, milk, oil, syrup, vanilla extract, raisins and eggs. Add sugar mixture to the dry mixture and stir until just combined. Pour batter into muffin cups filling the cups to at least 3/4 full. Mix together the sugar and cinnamon and sprinkle over the batter or add a chocolate button in the middle of each muffin. Bake for 30 minutes or until a toothpick inserted into the center comes out clean. Remove muffins from muffin tin immediately and serve warm. 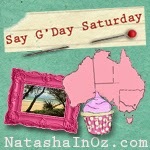 Say G'day Saturday Linky Party! If you would like to link up a post about your favourite recipe, craft, idea, tutorial, Instagram post or DIY project to my Say G'day Saturday Linky Party, please just add the url of your particular blog post that you would like us to visit to the Linky tool. Feel free to grab the code for the Say G'day Saturday button and add that to your post so that your readers might be able to find other bloggers who would like to Say G'Day! Please note: by linking up to the Say G'day Party, you are giving me permission to use any part of your post, including pictures, in feature posts on Natasha in Oz. I may also feature your posts on Facebook, Twitter and Pinterest with all credit being given to the original source. Thanks so much for joining in and linking up! Don't forget to come back later so you can say G'day to some of the lovely bloggers who have linked up! Thank you so very much for stopping by today despite the fact that I have been absent for so long! What would I do without the support and friendship of my sweet on-line friends! Please know that I appreciate every single one of you! You are so right about it being too easy to grab store bought snacks for the kids. My sons' school doesn't allow chocolate, but does allow cereal bars which are often even less healthy! Once my littlest is at school full time I want to start making them homemade treats to take every day - your recipe looks yummy! Thank you for hosting, Natasha! 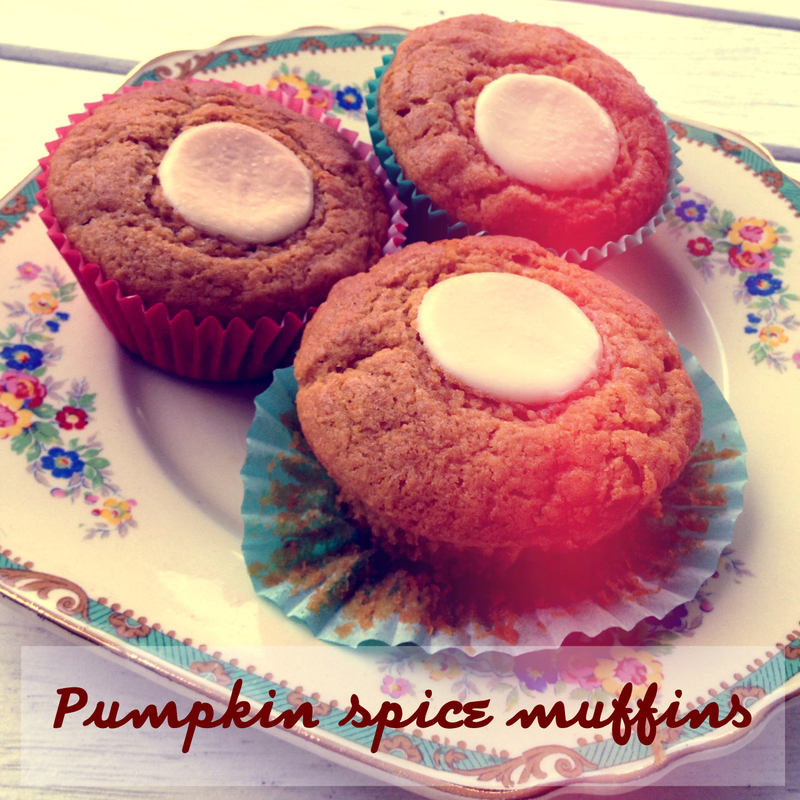 Love your pumpkin muffins - perfect for those of us getting ready to head into Fall :) Enjoy your weekend! Hello from Tulsa, Oklahoma! Thank you for hosting the linky party! Your muffins look delicious! I'm so impressed you used real pumpkin! Glad you are back!! We all need a break every now and then!! I linked up several posts I did in your absence... I hope that is okay! Haven't seen nor heard from you for absolute ages Natasha. I knew you must've been busy. Great to see you back again. These sound so good! Love these spices! Thank you for hosting and for joining me at Home Sweet Home! Great that you are back, Natasha! Thanks for hosting. Not long now until the school holidays... Hope the beautiful weather we've had here in Brissie will continue! Those muffins look yummy - homemade treats are the best! Thanks for the party. Have a super weekend. Thanks for the party and for the truncating suggestion....I had no idea! I am impressed you used real cooked pumpkin too! The muffins look divine! Hope you have a great weekend! Mmmm, those muffins look scrumptious. Such a fun party...thanks so much for hosting. Happy Friday! Thanks so much for hosting. Your Pumpkin muffins looks so yummy! I've done the cooking and pureeing pumpkin once before...I felt really amazed I could do such a thing. Way to go! Thanks for hosting! Your muffins look so yummy! Hi! Those pumpkins muffins look so good I'm going to try them this week-end. My NO RULES Weekend Blog Linky Party is now open all weekend as well if you'd like to link up!! Thanks for hosting, these Pumpkin Spice muffins are already pinned and I can't wait to make them. Thanks!! Glad to see you back, Natasha! No worries, you take care of family first. Thanks for hosting. I wish i lived next door to you so i could smell those muffins baking! I loved the party tonight. I literally went around the world and at one point was very lost deep in Blogland. Thank you for hosting such an entertaining party! Thanks for hosting and the lovely recipe, Natasha. Great job on roasting your pumpkin, the muffins sound fantastic! Thanks for hosting and have a great weekend! Yum! I'm so impressed that you baked and pureed your pumpkin too!!! They sound so good! So glad I found your party! Thanks so much for hosting! The pumpkin muffins sure look tasty. I've been doing fall prep for winter weather and found a post that needed repaired. Used mostly thrifted and left over bits, got that job finished and on to the next. Thanks for stopping by and leaving that lovely compliment. Your pumpkin spice muffins look so inviting. Oh My they look SO YUMMY! AND I must confess, "I would gobble down that roasted pumpkin before it EVER made it to the muffins"!!! I (((LOVE))) anything that includes PUMPKIN or any of the related squashes!!! HOW do you roast your pumpkin(it looks SOOOOO GOOOOOD)??? Your pumpkin spice muffins look so good! Yum! These look fabulous! Love the white chocolate button. Great to have you be a part of Seasonal Sundays. Mmmmm, these sound wonderful! Thanks for sharing, cannot wait to try them! Thank you so much to linking up to my first linky party! I treasure your friendship. You are truly wonderful!! HUGS sweet friend. These look and sound very yummy ~ I'm pretty sure *I'd* enjoy one with my lunch! Great recipe! It looks delicious! Thanks for the heads up on truncating the post, Natasha. I never wanted to do it either and it is a pain, but if that is one of the ways to protect things, I'm all for it because I keep forgetting to watermark my pictures. Thanks for hosting your wonderful party, as always! So sweet of you to take the time to come by and check out my post and give it your thumbs up! Thank you! That is a very yummy sounding recipe! Can I still link up to your fun party? Of course you can still link up Susan! I would be so thrilled and honoured if you could join in and link up a favourite post. Thanks so much for dropping by today. Hope you are enjoying the last few days of Summer! Need an easy and delicious veggie side dish? I shared a broccoli salad that is sweet enough for kids, and healthy for moms. Also a great make-ahead and a pot-luck favorite!! Hi! This looks absolutely delicious! I found you at the Six Sisters' Link party and would love for you to share them at my link party at http://mommyssweetconfessions.blogspot.com/2012/09/sweet-confessions-sunday-link-party-6.html . See you at the party! Natasha - these muffins look amazing! Your muffins sound delicious! I like anything with pumpkin!! YUM! I am here from TIOT. I recently started my own link up and I hope you'll stop by. Your pumpkin muffins look soo yummy and on such a pretty plate. Thanks so much for joining in Jackie. I love Ginger tea! Thanks for linking up at Take it on Tuesday. 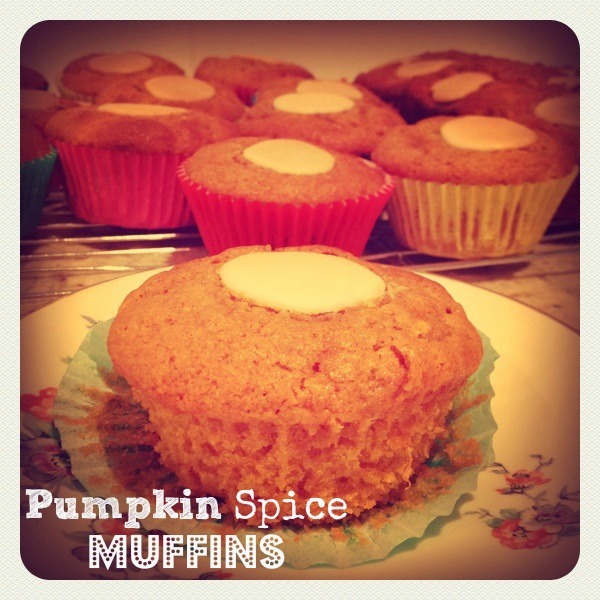 I'm pinning this, so I can try the pumpkin spice muffins sometime...maybe this weekend!! I hope you enjoy them! They make the house smell just like Fall! Such a yummy recipe! Thanks for sharing this at Sunday Blog Love, I'll be featuring your muffins as one of my favorites. Wishing you a wonderful weekend! Thank you so much Terry! I really appreciate the shout out. See you then! Tuesday Tune: I Will Wait by Mumford & Sons.